Discover Your Next Favorite Furniture Piece! More than your average new and used furniture store, Willis Furniture is an adventure. With a constantly changing inventory, our furniture showroom includes a treasure of hidden gems — alongside bargain surprises. We happily take special orders and our delivery crew has been recognized for its consistently exceptional “white glove” service. By offering the very best brand furniture manufacturers, alongside hand-selected, pre-pampered furniture pieces, we are Durango’s choice for affordable home furnishings, including home bedroom furniture, dining room furniture, and even mattress sets. Visit our furniture shop in Durango today to browse our collection of second-hand furniture, and more — or even for custom furniture you’ll love. 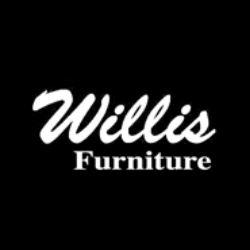 Willis Furniture is your source for furniture for sale in Durango.